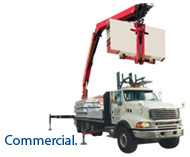 We are CBS Commercial Builders Supplies Inc.
CBS is the commercial division of Canada's premier buying group. 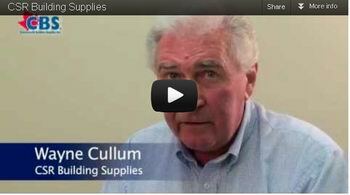 Members are a select group of independent building supply distributors who dominate the markets they serve. They benefit from our group buying power and our ability to execute in gypsum, insulation, steel, millwork, roofing, lumber and panel board categories. Members serve the needs of commercial and residential developers, contractors, builders, installers and applicators. Watch Video interviews with CBS members. You need competitive pricing. It's your number-one priority. You need access to new supply sources. You need a continuous source of supply. You can't sell what you don't have. You need a partner that's on your side when market conditions change. You want the freedom to run your own business and make your own choices. You want the strength and buying power of a leading buying group. You want day-to-day support to grow your business. We merge our buying power with our single-minded focus on making you more profitable. Today's commercial building supply market is competitive. That's why you need CBS. Our business model is compelling. Come take a look. You deserve attention. You deserve respect. Ask what CBS can do for you. It's your call. "I don't believe we would be in the position we are in right now without CBS. We would not have the manufacturers we have or be in the competitive position we are in without CBS. They are trusted and supportive in our endeavour to succeed. Price and supply are key factors for us. That, and the diversification of products."